LANCASTER – Surgeons at Antelope Valley Hospital Thursday performed the area’s first transversus abdominus release, or TAR, surgery. This means patients suffering from complex hernias requiring surgery now have access to a novel and minimally-invasive procedure close to home. Surgeons Emery Chen, M.D., and Rafael Lemus-Rangel, M.D., used the hospital’s da Vinci robotic surgical system to repair a complex hernia, which is a hole or weakness in the abdominal muscles that allows organs or tissues to jut through. Prior to the robot, complex hernias required reconstruction of the abdominal wall, a surgery that requires an extended recovery time. The TAR procedure also decreases the chance of developing future hernias. The da Vinci surgical system gives patients access to this option for urologic; gynecologic; and ear, nose and throat procedures. In addition to the TAR operation, the hospital is also one of the few facilities in the Los Angeles area to have specialized oral equipment that attaches to the robot, allowing surgeons to perform transoral robotic surgery (TORS) on the head and neck. Because robotic surgeries are minimally invasive, incisions are smaller and there is less blood loss resulting in fewer complications. Patients also benefit by having minimal scarring and a quicker return to daily activities. 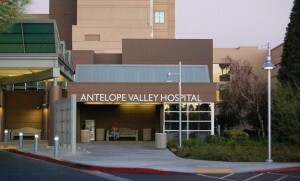 3 comments for "AVH performs first TAR procedure in the Antelope Valley"
I was the person who had the first TAR procedure at AVH . One month later so far so good no infection. Great nurses both day & night. Maybe just lucky.